using track selection and annotation for student learning. My US Popular Music History students will be developing and embedding Spotify playlists in their assignments this week. They complete the assignment in the Canvas “Learning Management System” that Northwestern makes available for courses. I am interested to see (and hear!) how the use of selecting tracks from Spotify shapes their work, whether they are able to complete the technical part of the assignment even without advanced media or web programming skills (it’s ok if they can’t; the assignment is meant to enhance analysis of course themes and materials not get bogged down in technical difficulties), and most crucially, if the interplay between, on the one hand, selecting and annotating tracks, and, on the other, developing a cogent essay about a particular aspect of our course so far enables students to gain a deeper understanding of US popular music between 1840 and 1955 (the first half of the course). A report to follow in the coming weeks. You have been asked by a recording label to write an essay and construct an annotated Spotify playlist of 5-10 songs revolving around a particular artist, group, producer, record label, or other topic between 1840 and 1955 (we will review how to construct a Spotify playlist in class—see instructions below; you may create an actual playlist or, if for some reason you are not able to do so, you may simply create an annotated playlist in the text entry box. Your assignment is to (1) create the annotated playlist in Canvas (1-3 sentences of description and justification of selection per track), and follow it with (2) an analytic essay of up to 1000-1500 words. The recording company insists that your essay must offer a compelling, precise, and clear evidence-based argument as to the historical significance of your profile topic. In other words, the “suits” (the executives) want to know what their customers can learn about the larger story of US history from studying the story you will tell in your annotated playlist and analytic essay. Your annotated tracks can form part of your evidentiary base, along with specific evidence from the textbook, primary source readings, and lectures. Your essay should emphasize how your profile topic relates to a specific theme from the course: why does it matter to the larger history of popular music in the United States between 1840 and 1955? Refer to assignment rubric under Expectations section of syllabus for more information and guidelines. -Log in to or create a free account at Spotify web player (or download the Spotify app) at https://play.spotify.com/. -Click on “Your Music” on the lefthand column. -Click on “New Playlist” and Create a playlist name. -Use the Search function on lefthand column to locate songs you wish to add. -Move cursor over the three dots next to song name to open up menu. 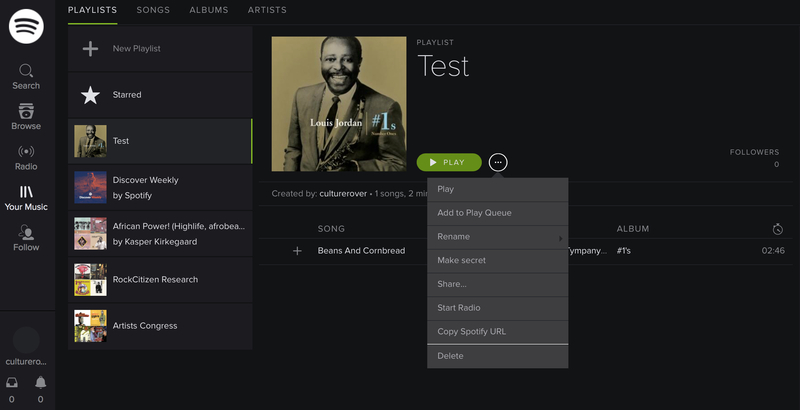 Select Add to and then when next menu opens up add the song to the playlist you have created. -Click on “Your Music” and go to your playlist. -Go to this webpage, https://developer.spotify.com/technologies/widgets/spotify-play-button/. 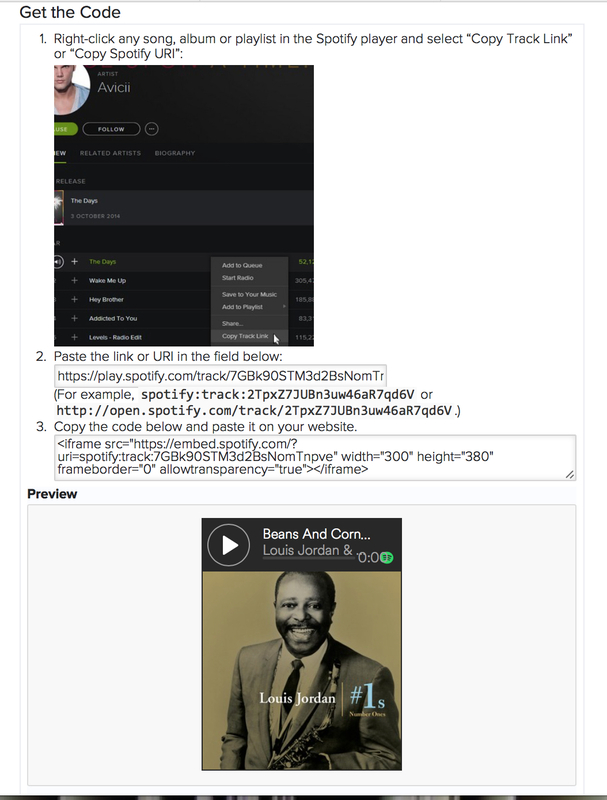 Paste in the Spotify URL to generate the embed code. 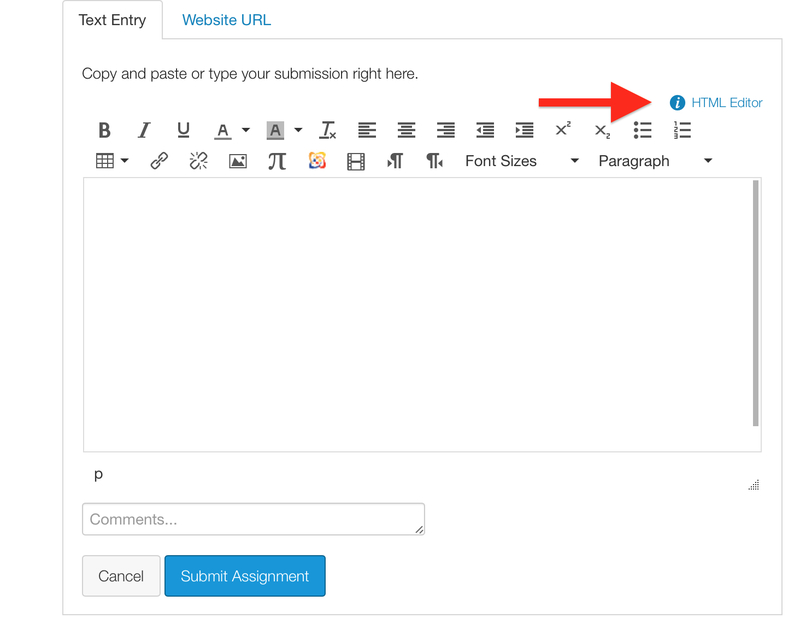 Select and cut the embed code to paste in to your Canvas assignment. -To paste in your Spotify track as an embedded file, you must switch to the “HTML editor” function, which lets you paste in the embed code (which should look something like this: <iframe src=”https://embed.spotify.com/?uri=spotify:track:7GBk90STM3d2BsNomTnpve” width=”300″ height=”380″ frameborder=”0″ allowtransparency=”true”></iframe>). Click on “HTML editor” to paste in code. Once you do so you can switch back to “Rick content editor” to write your annotations of the text and your essay (the embed will show up as a gray box). -You can also assemble your embed code, annotations, and essay in a text file or MS Word and then paste the entire document into the HTML Editor setting on the Text Entry page. This will prevent you from accidentally deleting or losing any of your work. If you do be sure to switch back to the “Rich content editor” function to make sure your assignment is rendering correctly. -Be sure to submit your assignment. You can revise it up until the deadline. -Let me (Prof. Kramer) know if you run into any technical difficulties with this assignment. Again, it is acceptable to create a text version of your song tracks and annotations and essay if you have difficulty with the technical part of the assignment. Give it a try and see if you can do it; if not, spend your time on the content of the assignment. 1 – Instructions for embedding Spotify playlists in your assignment (we will only be doing text entries for this assignment, not word processing document uploads). If you have difficulty with the technical aspects of the assignment, you may, without penalty, simply include your track information as text in your assignment, but give it a try to embed the Spotify track. It’s not that difficult. 2 – I have extended the assignment length to 1000-1500 words so that you have a bit more space to develop your analytic essay (the word count does not apply to the track annotations, which as the assignment explains should be 1-3 sentences each, describing the track and justifying its inclusion on your playlist. 3 – You may focus on a topic of interest between 1840-1955. In other words, a particular performer, genre, time period, label, producer, instrument, or any other topic that you want to spend time thinking and writing about. Pick something that interests you in relation to the themes of the course we have been exploring. 4 – Your essay will be stronger if you link your topic, annotations, and essay to specific information, analysis, and interpretation from our readings, film documentaries, and lectures. Make connections, notice discrepancies, identify historical ironies, consider the interactions between the four tracks of our multitrack analysis: text, context, theory, and history. Let me or Sean know if you have any questions about the assignment.